Built at the place where Gautama Budha is supposed to have taken birth, Maya Devi temple is an interesting place to visit and a spiritual experience to have. Inside the temple there are 4th century sculptures commemorating the birth of Buddha. Outside the temple there is an Ashokan Pillar, confirming the spot to be the exact place where Buddha was born. There is also a sacred Bodhi Tree, covered in prayer flags, offers a place where one can meditate. You can see monks meditating most of the times under the tree. 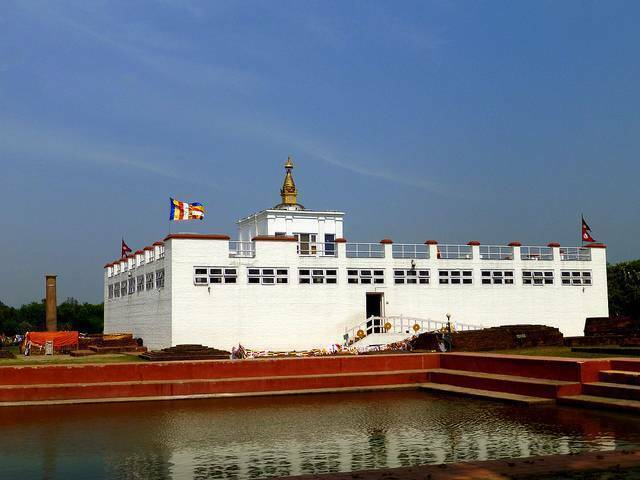 Maya Devi temple is one of the most sacred pilgrimage site for Buddhists.